And…they’re off! 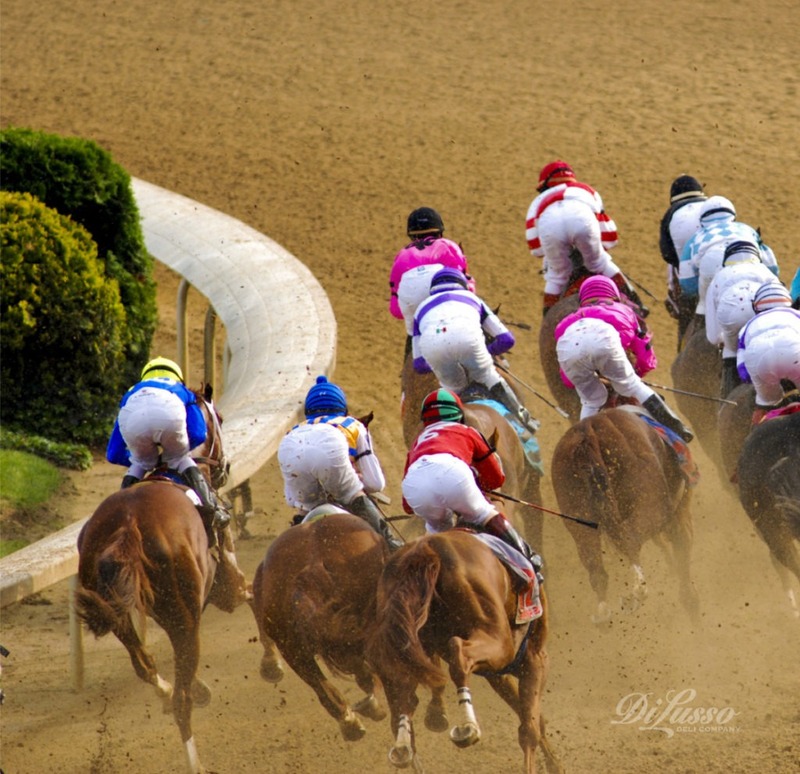 This year marks the 141st Derby in Kentucky, known as The Greatest Two Minutes in Sports. 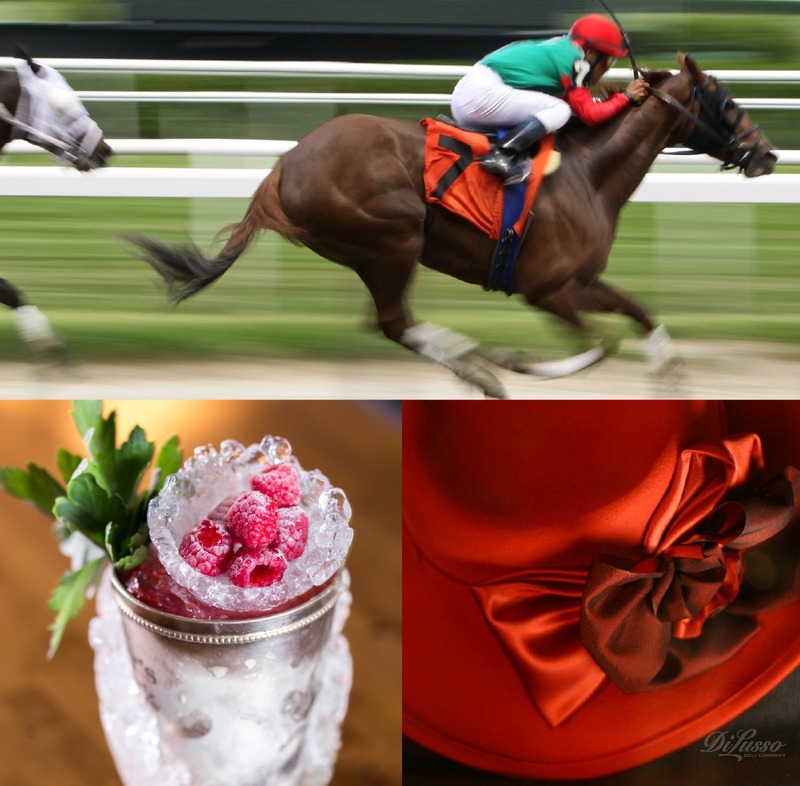 Even if you don’t know the first thing about horseracing, the derby has “party” written all over it. It even conveniently falls on a Saturday!Let’s plan the menu with some very traditional Derby favorites. We suggest you center your menu around the most iconic of Kentucky treats, The Hot Brown. This indulgent sandwich originated in 1926 at the Brown Hotel in Louisville. Our recipe makes four full-size Hot Browns; you could make mini versions using slider rolls, or cut these larger ones into smaller portions. Over medium heat, melt ½ cup butter in a saucepan. Stir in ½ cup all-purpose flour with a whisk or fork, and cook and stir constantly until golden brown. Slowly add 2½ cups milk, whisking constantly to prevent lumps. Bring to a boil while continuing to stir. Reduce heat to low. To this mixture, add 6 tablespoons grated fresh Parmesan cheese and 1 egg, beaten. Stir gently to combine. Do not let the mixture boil or the egg will curdle. Remove pan from heat. Toast 4 slices soft French or white bread. Place bread slices in 13x9-inch casserole or broiler pan. Spread bread slices with a dollop of the sauce, then top with ¼ lb. DI LUSSO® Golden Browned Turkey slices and two tomato slices. Spoon remaining sauce over each sandwich. Sprinkle with additional Parmesan cheese. Broil sandwiches 5 minutes or until bubbly and golden brown. Place 2 slices crisp bacon in a criss-cross on top of each, and serve immediately. Have dishes of roasted pecans on hand, and of course you’ll want to serve the iconic Derby drink—Mint Juleps made with Kentucky bourbon. You can even make a non-alcoholic version using frozen lemonade, lime juice, and non-alcoholic crème de menthe syrup (not the liqueur). Or serve Sweet Tea for another refreshment option. The traditional Derby dessert is Derby Pie—a pecan, chocolate, and bourbon indulgence. Horseshoe or horse-shaped sugar cookies would be fun for kids—they could even decorate these while the grown-ups socialize. Look online for info on the horses and their odds. Print out wager forms (also available online) and have every guest place their bets before race time! For laughs, have everyone make up their own racehorse name and write it on a slip of paper. Put them all in a hat. Read each name and have people guess whose name is whose. Speaking of hats! 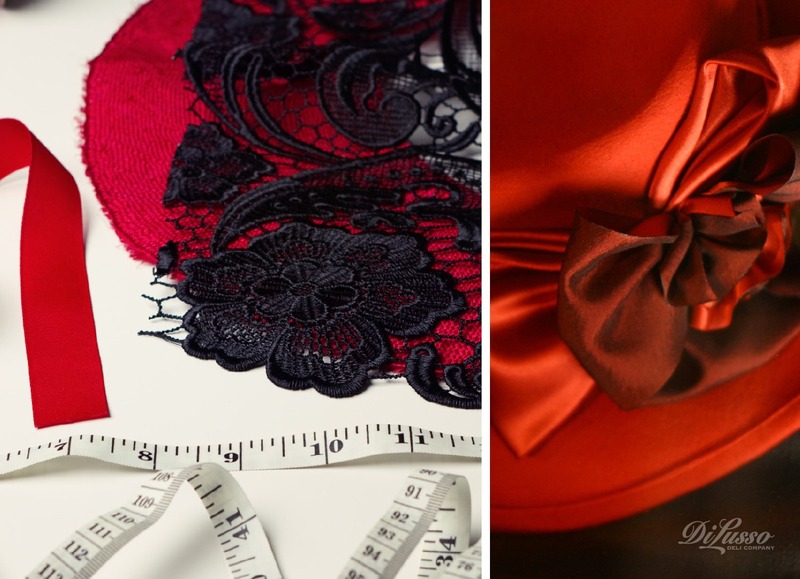 Encourage your female guests to wear their most elaborate fascinator—or purchase inexpensive straw hats and headbands, faux flowers, feathers, tissue paper, etc., and set up a hat-making station right there at the party. Men could don the country gentleman look with bow ties and a jaunty hat or cap, too. Right before the starting bell, have everyone join in on a rendition of “My Old Kentucky Home”—a longstanding tradition. For decoration, arrange an assortment of DI LUSSO® meats and cheeses in the shape of a horseshoe. 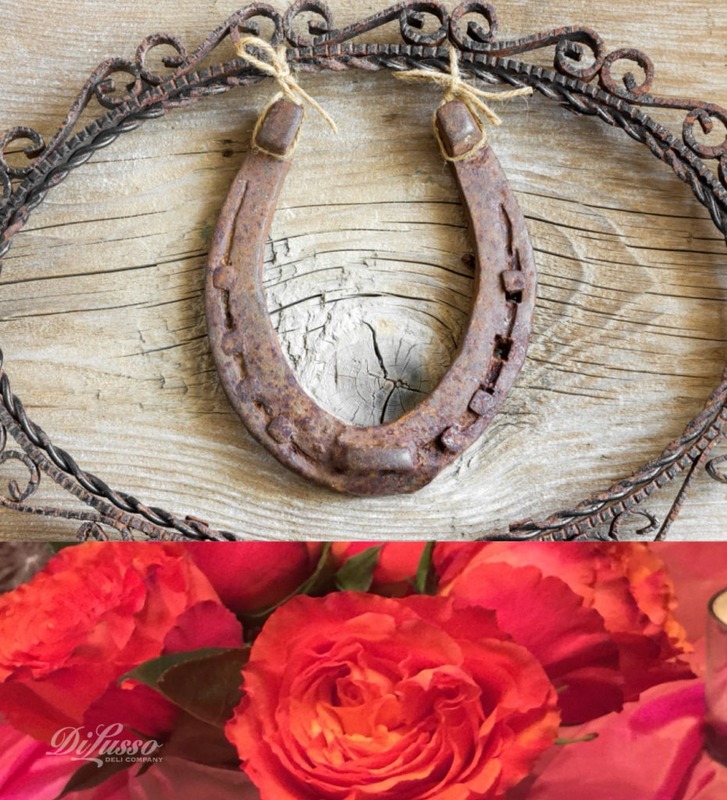 You could garnish the horseshoe with radish roses, grape tomatoes, and something green such as parsley or kale to mimic the red roses awarded to the winner. Hope your party is great—from the starting gate to the final stretch.